Anxiety and depression are psychiatric conditions that can be treated with a variety of different medications, including citalopram. Although citalopram is generally safe, it can interact with other compounds that can lead to undesirable side effects. There is no documented interaction between citalopram and caffeine, but caffeine can lead to increased agitation and insomnia, two conditions citalopram commonly combats. Caffeine is one of the "drugs" humans most commonly use. Caffeine functions as a stimulant of the central nervous system and can be found in many different beverages, such as coffee, sodas and herbal beverages. It can also be added to some medications, particularly pain relievers. 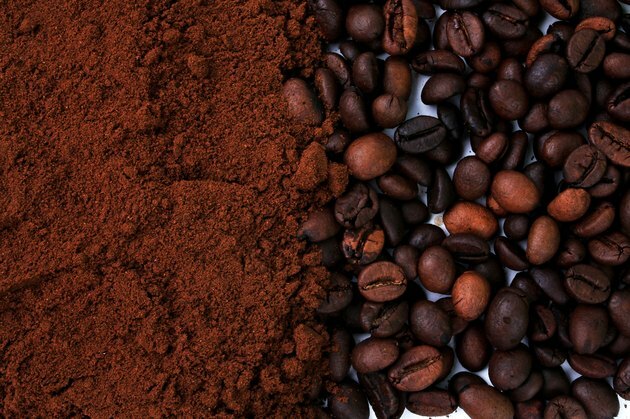 The digestive tract rapidly absorbs caffeine, which appears in the bloodstream within an hour of ingestion, according to the science education website Virtual Mass Spectrometry Laboratory. Caffeine can cause a feeling of increased energy and also increases your heart rate and blood pressure. Citalopram is part of the class of antidepressants known as selective serotonin reuptake inhibitors, or SSRIs. These drugs increase the levels of serotonin in the brain by preventing serotonin from being transported away from areas of the brain where it is active. Serotonin levels are often decreased in people with anxiety or depression, and SSRIs are effective at treating many cases of these psychiatric disorders. There is no specific interaction between citalopram and caffeine, Drugs.com reports. However, caffeine ingestion can cause certain side effects, including feelings of agitation, anxiety, restlessness and trouble sleeping, some of the symptoms of depression and anxiety. If you are taking SSRIs for psychiatric problems, your doctor may recommend you reduce your caffeine intake, particularly if your symptoms are not getting better. Although citalopram does not directly interact with caffeine, it may interact with some medications that contain caffeine. For example, citalopram can cause problems if you take medications that combine caffeine and morphine because the citalopram may inhibit the metabolism of morphine, increasing its duration in the body. Citalopram can also interact with aspirin-caffeine combinations and increase the risk of bleeding disorders. Can You Drink Caffeine While Taking Phentermine?